The Great Canadian Horse Roundup - INVESTING IN ONE OF CANADA'S MOST PRECIOUS NATURAL RESOURCES, THE HUMAN-ANIMAL BOND. Want to know more; please complete the Sponsorship Contact Form. 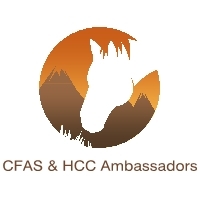 Horsecountry Campground and The Canadian Foundation for Animal Assisted Support Services (CFAS) are rounding up horse enthusiasts across North America who want to vacation with their horses just for the fun of it. Book Now! and help thousands of children, youth, adults, and seniors with disabilities, the military and first responders' experience equine programs to improve the quality of their lives. Three Good Reasons to Get Involved! Your investment will help establish an Annual Grants Program for charities that improve the quality of life of people with physical, social, and emotional challenges through partnerships with companion and service animals.